Here are more pictures Heinz send me. They were photocopies of photographs and the resolution is not good. But I think they are fun. 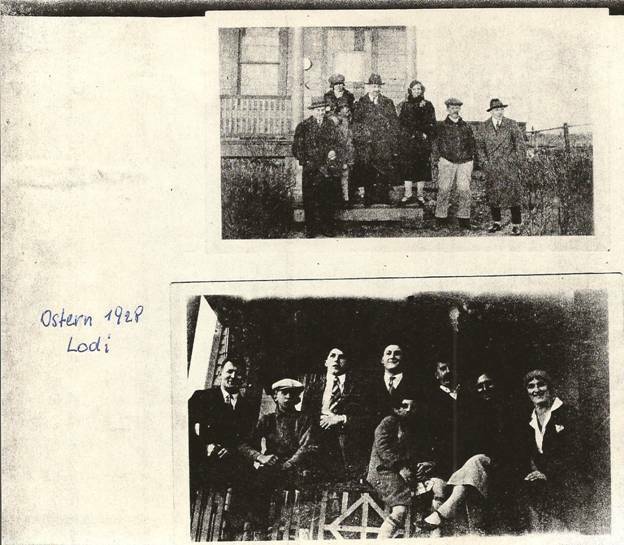 They celebrate the chicken farm in Lodi, New Jersey, where my grandparents, Fritz and Suzy, frequently hosted relatives. Handwriting is Heinz. Easter 1928. 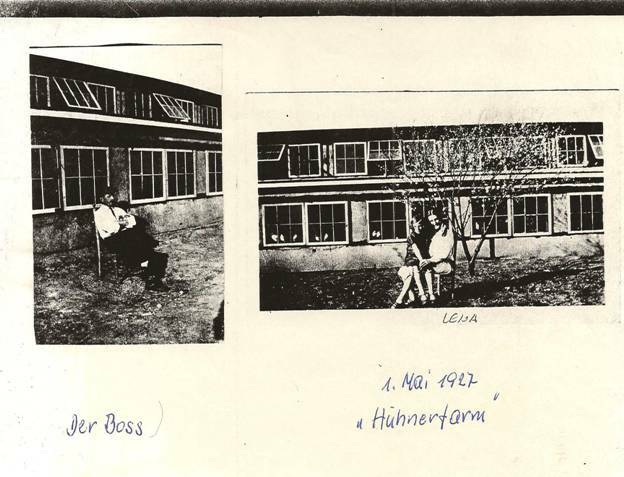 Lower picture, from left to right, Philipp Rimmler, Fred and Betty on rail, then Lene Orth. Standing in middle is probably Al Orth. 1 May 1927. The Boss would my Fritz, the others are Lene Orth and Betty. Left is Kitty Rimmler, Betty, and Lene. 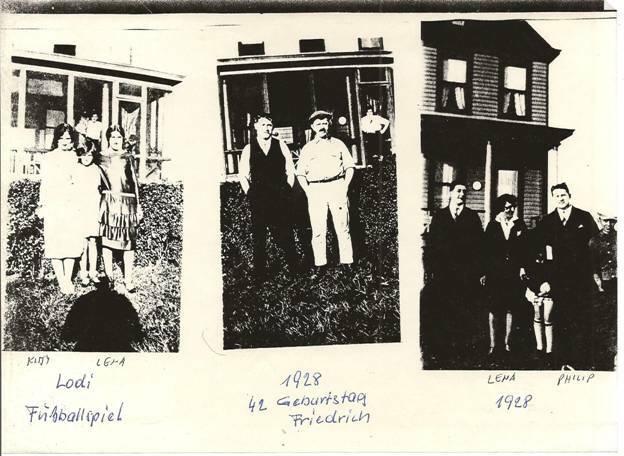 Center is Philipp and Fritz, and right is Al Orth, Lene, and Philipp. Betty is in shadow. Top features a family friend, Bruno Nette on left. 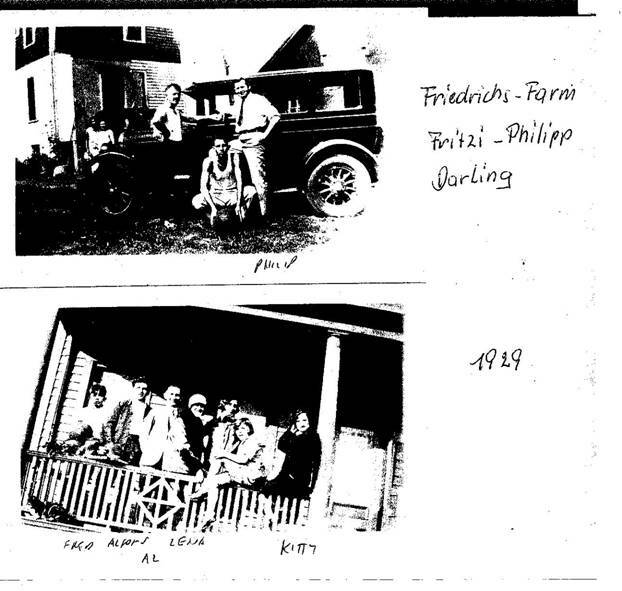 Bruno made wine during prohibition and sold it. Family tradition has it one of his best customers was a judge of the New Jersey Supreme Court. 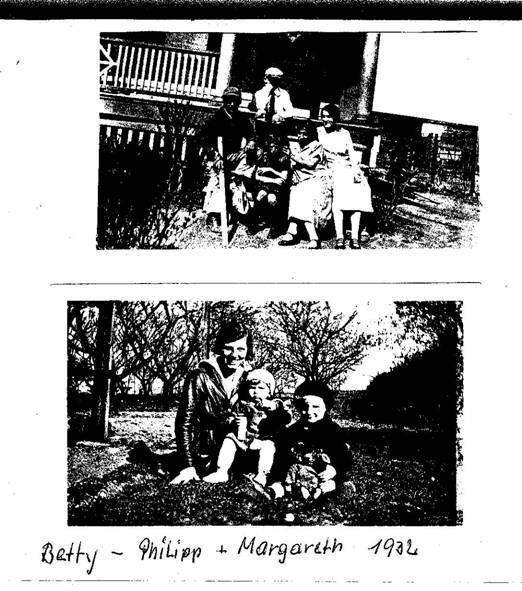 Bottom is neat picture of Betty, Philipp Rimmler and Margaret Orth taken in 1932.